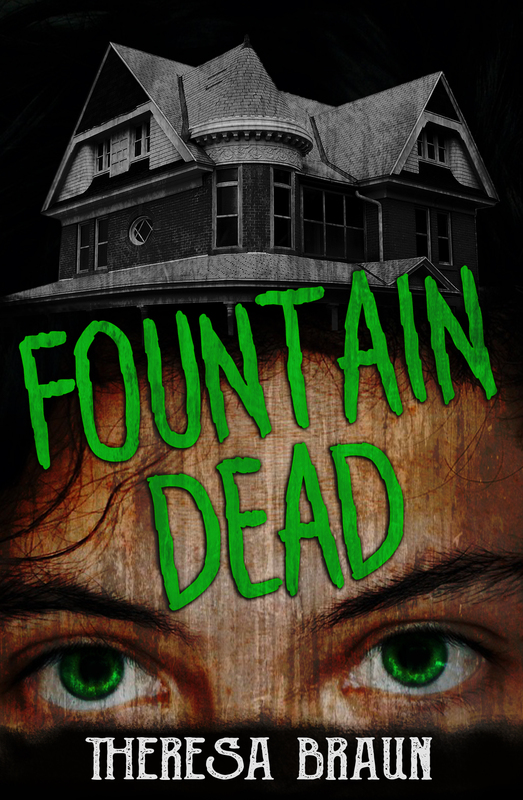 We are thrilled to host this reveal today, and tell you all about Theresa Braun's first full-length novel, Fountain Dead! 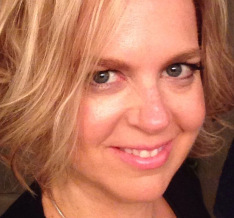 Theresa is also giving away a $25 Amazon Gift Card, so be sure to enter at the bottom! Mark is uprooted from his home and high school in the Twin Cities and forced to move with his family into a Victorian in Nowhere-ville. Busy with the relocation and fitting in, Mark’s parents don’t see what’s unfolding around them—the way rooms and left behind objects seem alive with a haunted past. Of course, Mark keeps his ghostly encounters to himself, all the while sinking deeper into the house’s dark, alluring, and ultimately terrifying history. As romantic entanglements intensify, the paranormal activity escalates. Past and present come together. Everything is connected—from the bricks in the walls to the hearts beating in their chests, all the secrets of Fountain Dead are finally unearthed. The vapor wafting from the stagnant pool smelled like the rancid rot from inside a carcass. Mark felt he breathed in fire. The gooey surface boiled and foamed as if a prehistoric substance. His heart stopped as something emerged. A goopy and gnarled dome became a sickly face. The eyelids still closed, the rest of the form rose, covered in green. A tattered dress clung to the feminine curves. The cloth slipped from the shoulders, drawing his attention to her skin. The texture made him gag. A sour taste of bile filled his mouth. His skin contracted as he contemplated her spongy flesh. Her black eyes sprang open like a demonic doll’s. Her inhuman gaze stabbed his very core, and he knew he was facing a soul-less being. The eyes burned like hot stove burners. A decomposing hand extended toward his throat. Mark woke, wet with perspiration. His pillowcase and sheets were damp, as if he’d taken a swim in the fountain. That idea made him unable to breathe. His heartbeat sped along at a rate close to heart attack status as he tried not to blow a gasket about the evil that lie in wait. He whipped his pillow from behind his head and squashed it to his chest. No one would grasp what he’d been feeling—or what he’d been seeing. His lip trembled. Something—a fiend, a spirit, the fountain—wanted to hurt him. Mark’s chest compressed. The devil on his shoulder advised him that his mother had to be right. All of the metal music, the cartoons, the swearing, had been an invitation for demons and darkness. Forget the fact that none of his friends had ever mentioned opening some gateway to hell. These dark forces had chosen him. He lied back, exhaustion sinking him deeper into the mattress. After pulling the blood warm sheets up to his chin, he shunned the moonlight streaming into the room. The crooked claws of the branches squealed against the half-open windowpane. Summer’s hot breath puffed into the house. Mark didn’t have to strain to hear its griping—the sighs of the woodwork and the building’s various joints. The door to the servants’ quarters was open again. However, that bothered him less and less. A perfume of fragrant flowers sent him to sleep. 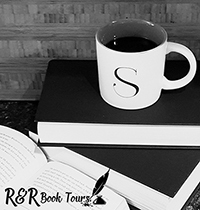 *There will also be a blog tour for Theresa’s book starting Nov. 12th to Nov. 16th. If you would like to participate, please fill out the sign up form Giveaway Time! For your chance to win a $25 Amazon Gift card, click the link to enter! Good luck!